Kirsty, that is just gorgeous! I’m not really a huge bunting fan, haven’t understood the little bunting craze that’s been going on, until just now. I’m now sold! I love this Kirsty! What a great idea. The bunting is adorable. Hi, I just found your blog through Selina, loved reading your posts.. I love the lantern and bunting, absolutely gorgeous. Just come from Selina’s too. What a clever lady you are to make such a pretty lantern. I absolutely love it. I also love your stained glass quilt you are making. I am intrigued as to how you make it. It’s very tricky looking. Maybe I will google it later on. Can’t wait to see it finished. I adore this and will be making one for my son’s room very soon! love, love, love the lantern! Your blog name also is fabulous!! Came in a rush from flickr 🙂 to say I.love.it! It’s perfect! I just flew over from wherever I first saw this adorable idea, then I spent some (excessive) time pouring through your previous entries. You are so creative and your blog is such fun! Can’t wait to visit again! Such a cool idea, I love it. Found your lantern featured over at Be Different, Act Normal. I love this idea. Great job! wow, a really great ideea!! This is the single cutest thing I have seen in a long time. BRAVO! Oh my goodness I love this so much! What a brilliant idea! Hope you don’t mind I linked to it from my blog. I just love it too much! I love this! It would be so cute for party decorations. That is darling!!! I’d love for you to link up to Wow Me Wednesday! I featured you today on my Toast of Tuesday! Come grab a button! 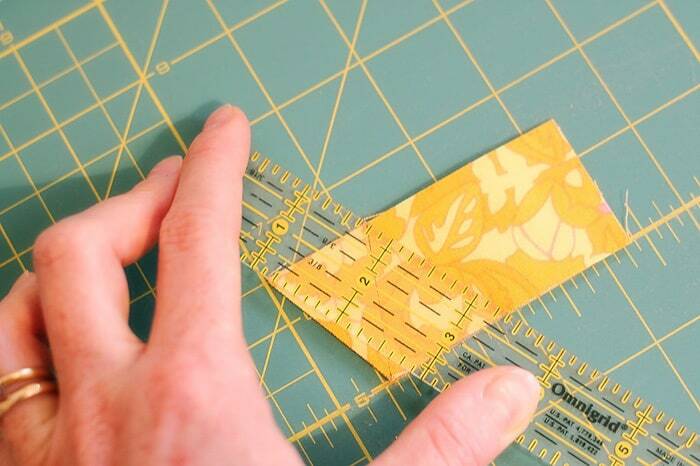 Just saw your project on Dollar Store Crafts and quickly came over to check it out! So great! I have a dozen of these lamps at home – just waiting for the perfect project and now I found it. I do have a question for you though – can you tell me about that amazing painting in the background? 🙂 Thanks! Hi Miki, the painting is a big ole canvas I painted almost five years ago. I actually painted a pair of them because I couldn’t find anything that went with my lounge room in Australia; turns out they matched that lantern quite well. They’ve since moved to the staircase since taking this photo. Thanks for dropping by and thanks for telling me about the Dollar Store Crafts site, I had no idea! i’m in love! want to make one now! found you from dollar store crafts too! This is so simple and eye catching! Love it. Look out for a feature on it on our FB page, Whimsy Petite Styling! Thanks for the inspiration! That is absolutely adorable. I can’t get over it. I think I just fell in LOVE! I think I need to go out and make myself one of these. Thanks for sharing. Love love love it! I love this! I featured it on my blog today. Feel free to grab a featured button! This is absolutely fan-tab-u-lous! LOVE it! I just finished my lantern yesterday. I actually had all the materials, including the lanterns, in my stash. It looks lovely in my one year olds room. Thanks for this great idea. LOVE IT! Totally want to make one for my sun porch this summer. Perfect for a play area. You rock!! 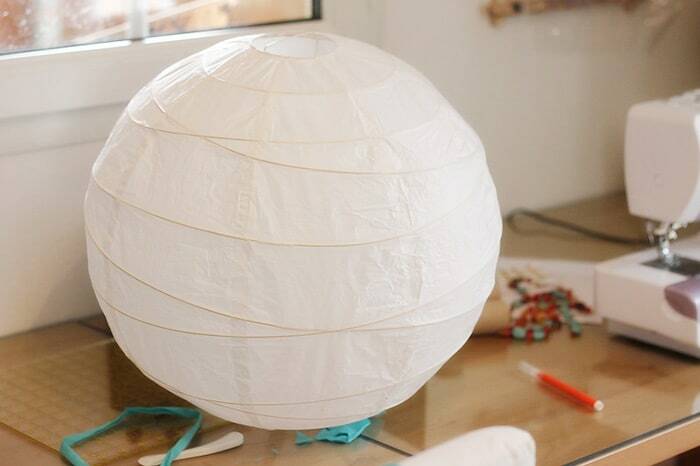 What a great way to dress up a paper lantern! I so need one for my dining room! Great fun!!! Just found your blog though Oh-Dee-Doh & loving it. Hi. I just found your blog and am enjoying poking through it. I adore this project and am sort of sewing impaired so I have some basic questions: how long was your bunting strand and how much space did you leave between the flags? The bunting was as long as it took to wrap around the lantern! (sorry, I didn’t measure it). The little flags are roughly 2.5 inches apart, centre to centre. Hope that helps. Adorable!!! I am running out the door now to go to IKEA to get a lantern and make one of these so cute!!! Thanks for sharing. Hello from your newest follower! I love your blog’s name and this idea is so darling! If you have a chance stop by my blog. I LOVE this idea,I’m a huge banner fan :),I make then in all different shapes and sizes and sell the in my store, but I have never thought of this idea. Thanks for sharing ,I’ii use it for up coming summer celebrations. This is such a fab idea, love it! I have one of these lanterns still in the packaging somewhere, off to find it and use up some scraps! Thanks for sharing such a fab idea! Hi there! Thanks so much for sharing this idea with us. I featured it on my blog today and pinned it on pinterest today too! Hi Kirsty! This has been my favorite lantern tutorial for SO long, and I finally blogged about it today! i love it!! easy, but fantastic!! Thank you for sharing! I bought 3 lanterns to experiment on for my upcoming baby’s nursery. I dont have a sewing machine and wouldnt know how to work one anyway.. you think i can just use ribbons and colorful paper instead of bunting?? love your blog! 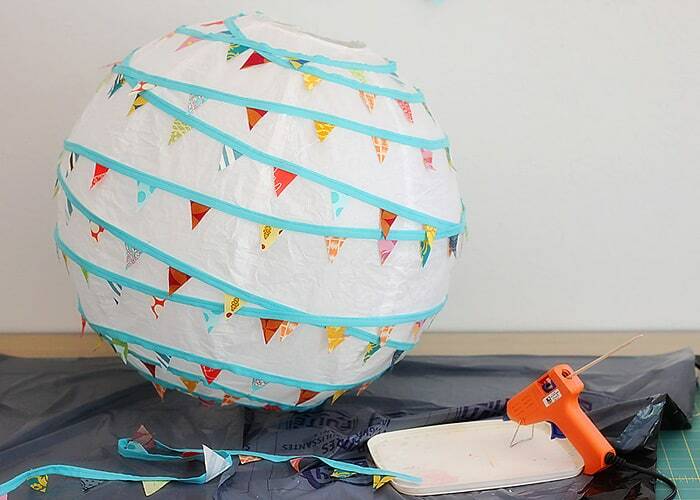 Absolutely – anything that you can glue down is fair game for decorating these lanterns. You could cut colourful paper triangles and stick them to the underside of the ribbon to create bunting and then glue the bunting to the lantern just as I did. Good luck! Love this idea, the bunting is really cute and effective. 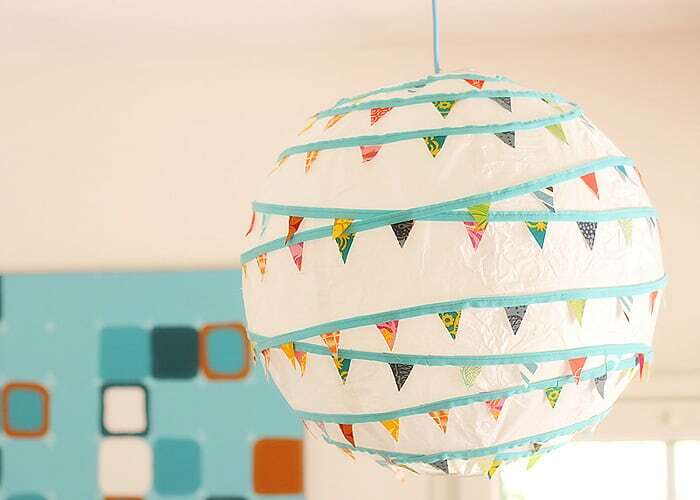 I’ve featured it as one of my favourite DIY paper lantern projects on my party blog post http://www.stylemyparty.co.uk/blog/20-diy-paper-lanterns/ hope you like it, take a peak!